During President Bush's recent trip to the Middle East, the Israelis again raised the now tiresome request that we release Jonathan Pollard. Pollard was a civilian employee of the U.S. Navy intelligence service, convicted of spying against the United States for Israel and sentenced to life imprisonment. 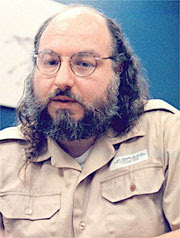 He was arrested in 1985 and although he pleaded guilty and cooperated, the information he illegally provided to the Israelis was potentially so damaging to our national security and intelligence operations, the judge sentenced him to life in prison and recommended that he never be paroled. The actual damages have never been made public, but were so great that when President Clinton was asked by the Israelis to free Pollard, seven former Secretaries of Defense signed a letter asking him not to do it. There is a group of Pollard supporters who want the felon released. They have a website - Justice for Jonathan Pollard - which is full of misleading information and comparisons to others who have been sentenced for the same crime. Although they claim that Pollard has been sentenced more harshly than others, they don't mention that others in the same class as Pollard - CIA officer Adrich Ames and FBI agent Robert Hanssen - were also sentenced to life in prison. My response to those lesser sentences - the judges in those cases got it wrong; the judge in the Pollard case (as well as with Ames and Hanssen) got it right. During the President's visit to Israel, there was a campaign to highlight the plight of the Israeli spy. A member of the Knesset, Shas Party chairman Eli Yishai, presented the President a two letters asking that he free Pollard. One was from Israel's former chief rabbi, and the other from Pollard's wife Esther. 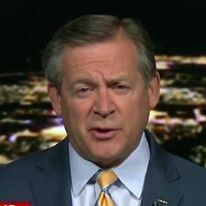 The minister hinted that Bush's response would have an impact on Israel's consideration of American requests for Israeli cooperation with the Palestinians. The above posters (in English and Hebrew) appeared all over the country. Disgraceful, comparing the American president with Hamas leader and Palestinian prime minister Isma'il Haniyah and Hizballah leader Hasan Nasrallah. What arrogance. In reality, bringing up Pollard likely only underscored American resolve to punish the traitor that is Jonathan Pollard. Many Americans do not want Pollard to be allowed parole or pardon, only to move to Israel and be treated as a hero. After all, in 1995, Israel granted Jonathan Pollard Israeli citizenship and in 1998 acknowledged that he had been an Israeli intelligence asset. Pollard's wife claims he is "rotting in an American prison." Actually, he's in a low/medium security federal prison in Butner, North Carolina. While it is incarceration, it's not the hard time an active duty Navy officer would be doing at Fort Leavenworth. If it was up to me, he'd be bolted into a cell at the Supermax in Florence, Colorado. Esther, I missed the part where I am supposed to care about or feel sympathy for a traitor who betrayed my country.